Our research is mostly focused on the chemistry of boronic esters, which are versatile synthetic intermediates for the preparation of a wide range of organic molecules. Their unique properties as mild organic Lewis acids and their reactivity profile, coupled with their stability and ease of handling, make boronic esters particularly attractive. The development of modern borylation reactions has contributed to the emergence of boronic acid derivatives as a popular class of compounds in synthetic chemistry, as versatile intermediates, and in medicinal chemistry as potential drug candidates. Inspired by unsolved problems found in the total synthesis of complex molecules, we search for unconventional ways to activate boron compounds in an efficient way. 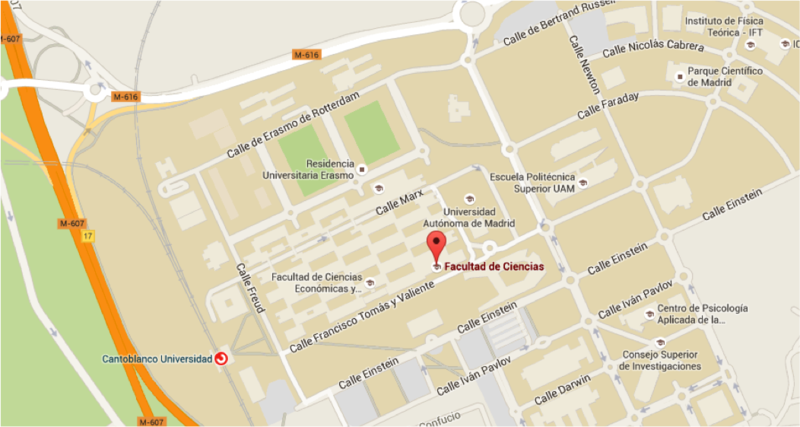 We are especially interested in the formation of C-B bonds that are not possible using classical approaches. In doing so, we want to create a platform of novel boron containing molecules that could provide new areas of chemical space for biological screening and simultaneously be a toolbox for the preparation of valuable synthetic intermediates. Some examples our recent projects are described below. 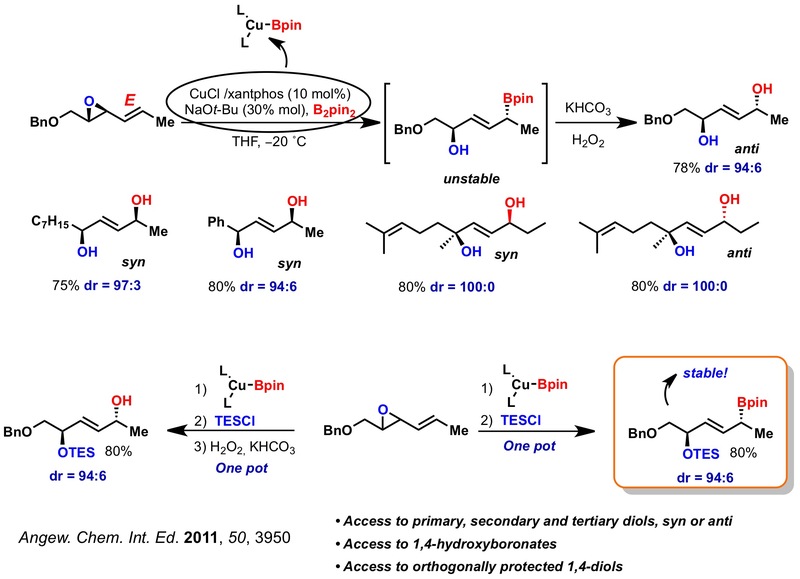 We have developed a powerful method for the stereoselective synthesis of 1,4-diols through the copper-catalyzed borylation of allylic epoxides. The method allows for the synthesis of primary, secondary and tertiary diols, with syn or anti relative stereochemistry, in good yields and high diastereomeric ratios. Additionally, protection of the hydroxyl group prior to the C-B bond oxidation allows access to orthogonally protected 1,4-diols. We have developed the first copper-catalyzed formal carboboration of alkynes, in which a C-C and a C-B bond are created in single catalytic cycle. The products are tri- and tetrasubstituted vinyl boronates which can be further functionalized through cross-coupling reactions. Recently, our group has developed the diastereo- and enantioselective copper-catalyzed borylation of cyclopropenes. 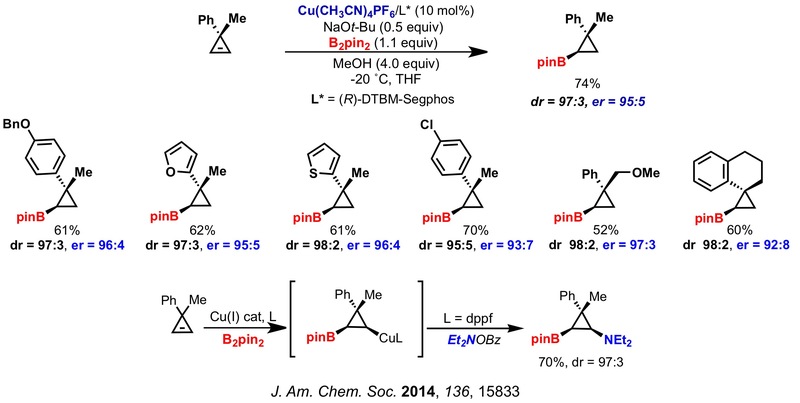 We have synthesized a series of cyclopropyl boronic esters with good yields and high diastero- and enantioselective ratios through a desymmetrization process involving chiral boryl-copper species. Additionally, trapping the cyclopropylcopper intermediate with an electrophilic source of nitrogen allows for the preparation of interesting cyclopropylaminoboronates.